Established in the early 1950s, the Luigi Pira estate encompasses 12ha of Nebbiolo, Dolcetto, and Barbera in the commune of Serralunga d'Alba. For many years, the family produced and sold their grapes, later producing and selling wine in bulk to local negociants. Only just a few years ago did the estate begin ageing and bottling its own wines. 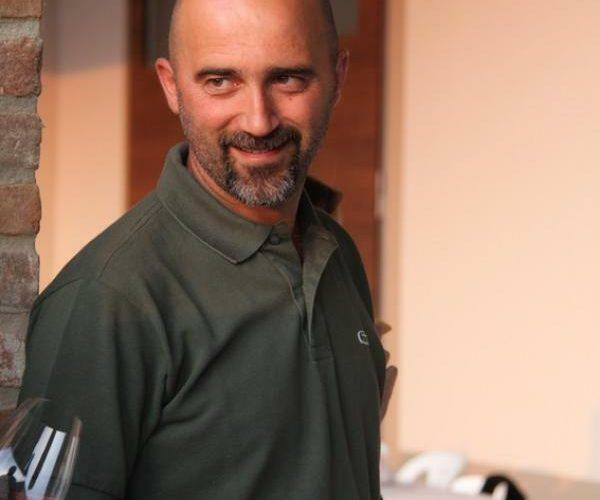 Luigi's son, Giampaolo, recently took the reins at the estate, overseeing the cellars while his brother, Romolo, and his father continue to maintain the vineyards. Pira's holdings are in the three most prestigious crus in the Serralunga commune: "Margheria," "Marenca," and "Rionda." The first Barolo was produced only as recently as 1993, but since then, the family has racked up accolades and high scores from the worldwide press. 50-55,000 bottles are produced each year. Vineyard Management: Integrated insect and disease control is followed. Only natural products are used in order to respect the environment: sulfur- and copper-based products are mainly used. No insecticides are used. Only organic fertilizers are used. Natural cover crops (grass cover) are left on the rows between the vines. In autumn the soil is tilled. Only absolutely necessary doses of SO2 to prevent oxidation are added to the wines. Vinous Media 91 "Tasted from a pre-final blend from cask. Gianpaolo Pira's 2013 Barolo del Comune di Serralunga d'Alba is soft, open-knit and expressive, all of which make it an excellent choice for drinking over the next few years, while the sweet red cherry and plum flavors retain their vibrancy. Wine Spectator 93 "Bordeaux-like, revealing black currant, cedar, iron and olive flavors, supported by an iron spine. The licorice, cherry and tar notes re- main focused on the aftertaste. Best from 2018 through 2032.—B.S." Vinous Media 90 "The 2010 Barolo is a beautiful entry-level offering. Robert Parker 90 "The 2010 Dolcetto d'Alba is a dazzling wine. Blackberries, blueberry jam, tar and crushed rocks are just some of the notes that emerge from this textured, multi-dimensional Dolcetto. The house style is nicely balanced by the freshness of the year. This is a dynamite showing. Robert Parker 96Wine Spectator 92"Intense aromas of blackberries, lightly toasted oak and plums. Very intense. Full-bodied, with big velvety tannins and a long, caressing finish. Serious wine. Best after 2008. 1,000 cases made. (JS)"